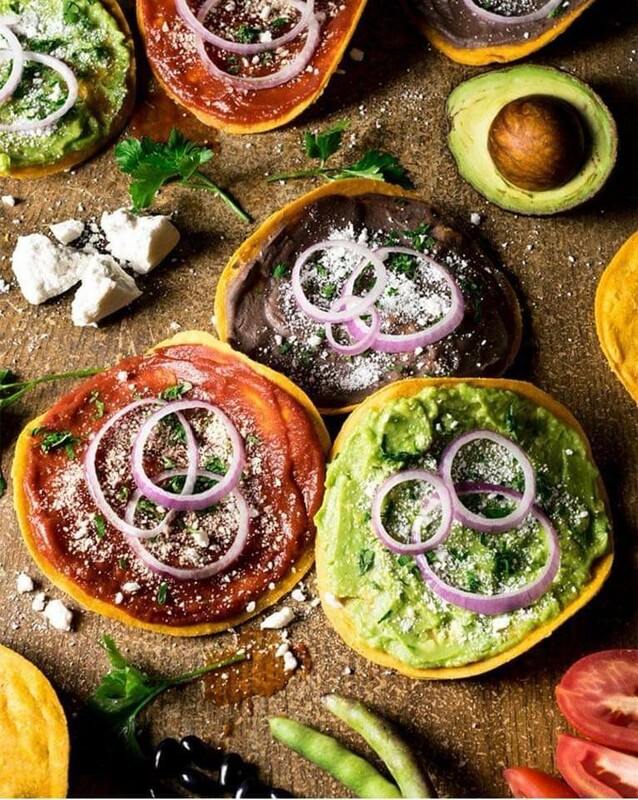 Tostadas: hard corn tortilla with guacamole or beans or tomato sauce, garnished with onion, hard cheese and parsley. 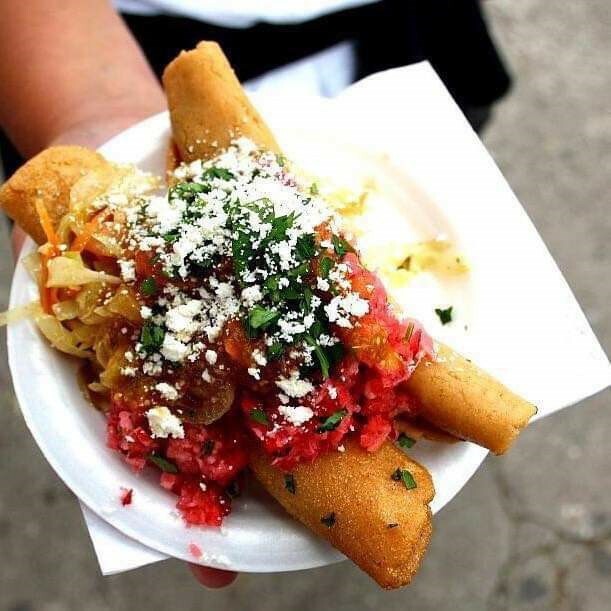 Tacos: Our tacos are the Mexican version of the flautas. 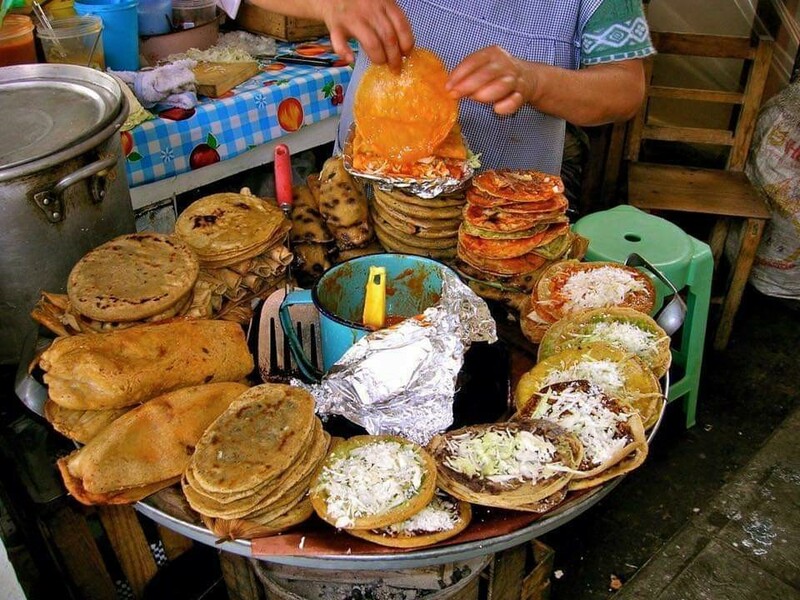 These are hard tortillas rolled up and stuffed with meat or potato. 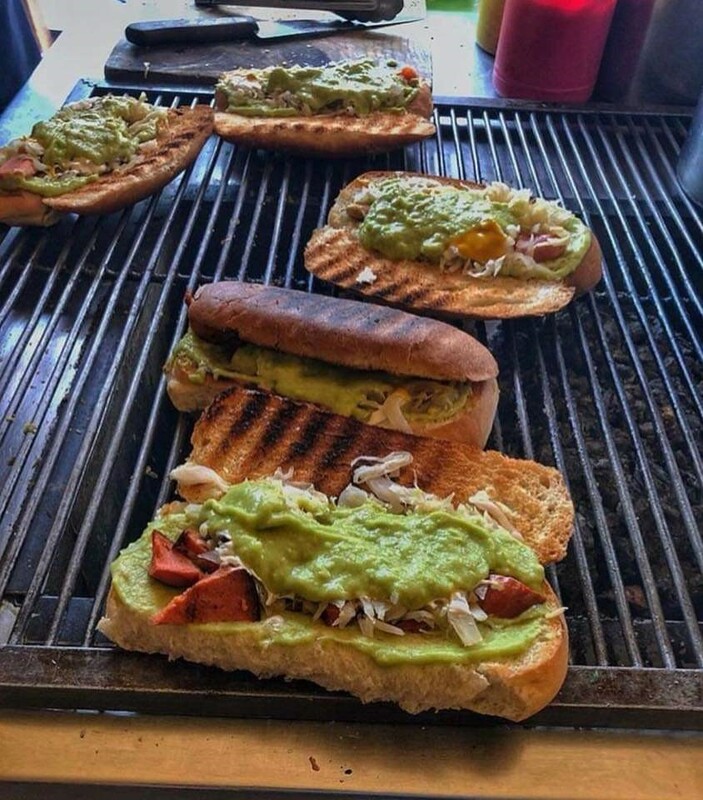 The top is garnished with guacamole, tomato sauce, (not ketchup), hard cheese, onion and parsley. 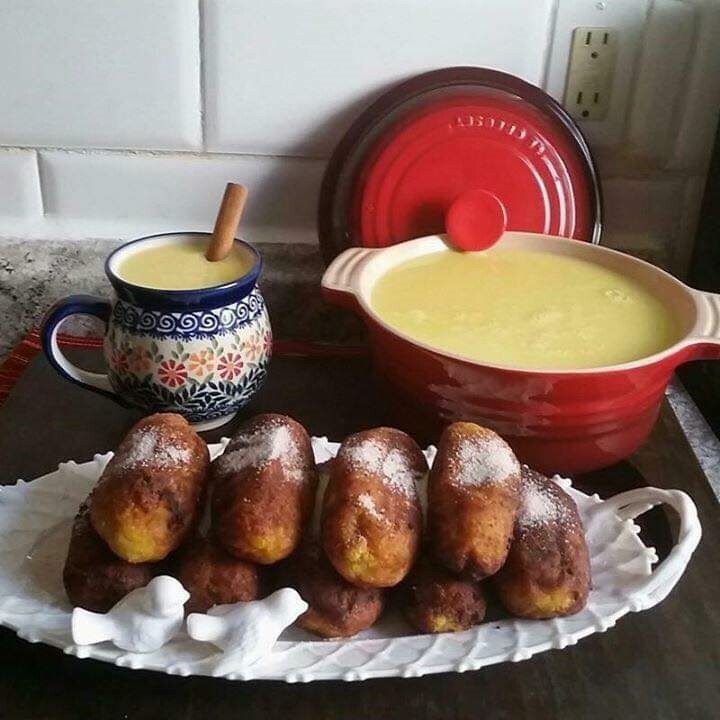 Rellenitos: plantain patties stuffed with sweet beans, sugar and cinnamon, they are fried together, and it is a very nice dessert. 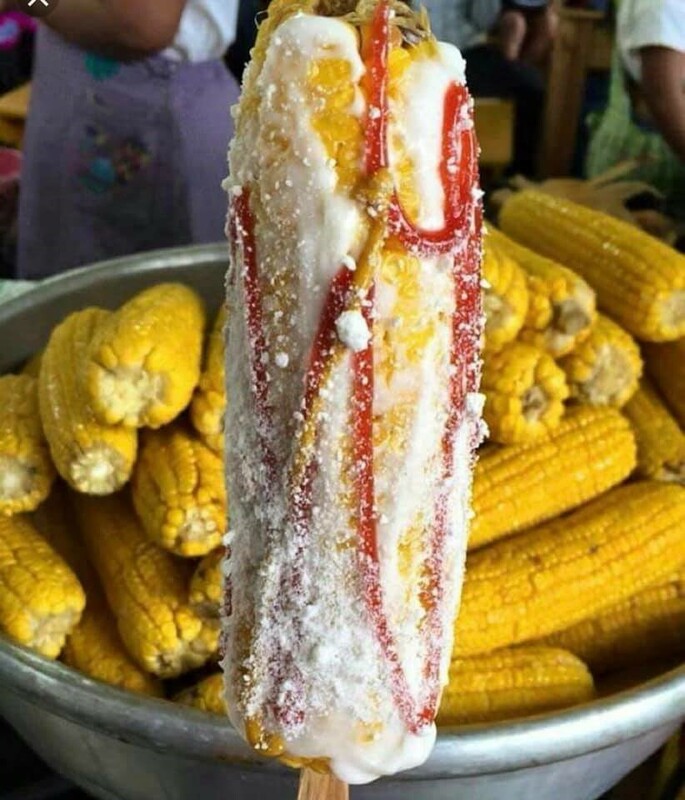 Elotes locos: crazy corn, on the cob with special cover of ketchup, mayo, mustard, hot sauce and hard cheese. If you don’t want the corn with all the circus, just order “elote cocido” that means “only cooked corn”, you will get them with a bit of salt and lemon, if you like to add some. 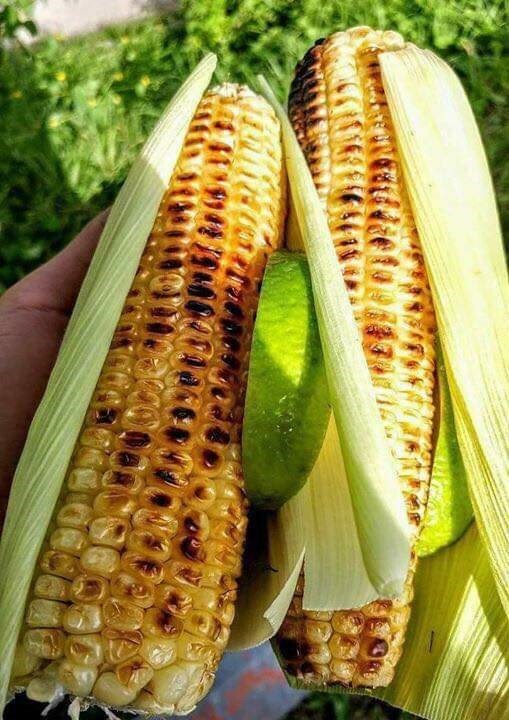 Another way to eat the corn are the “Elotes asados” or grilled corn.! Add some lemon and salt and ready to eat! 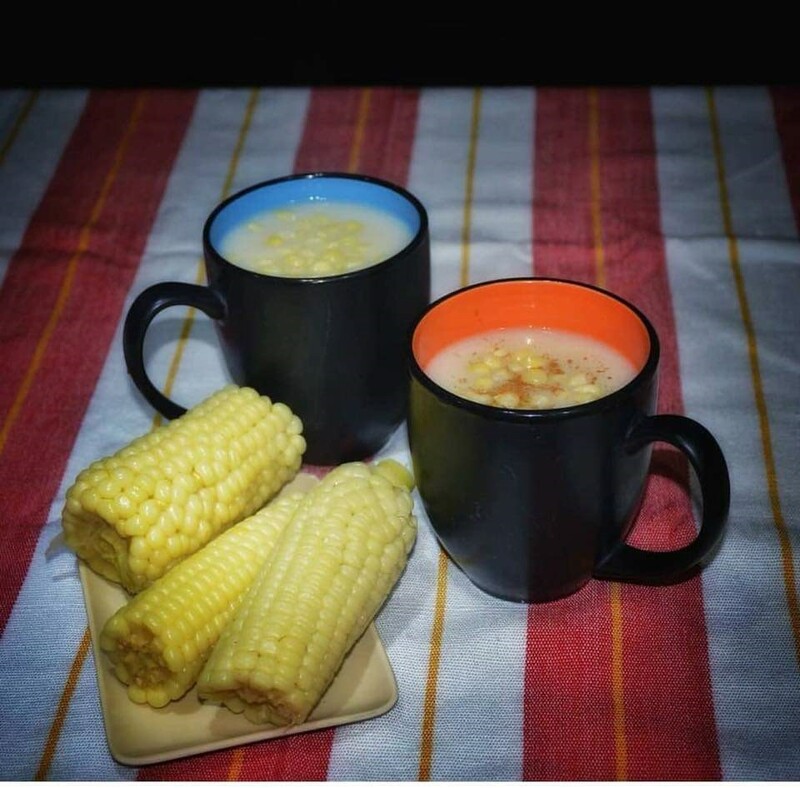 Atol de Elote: This is a hot corn drink that it is thick, smooth and sweetened and spiced up with vanilla cinnamon, sugar, etc., it is absolutely delicious.! This is like a dessert, made of banana, chocolate and that´s it! 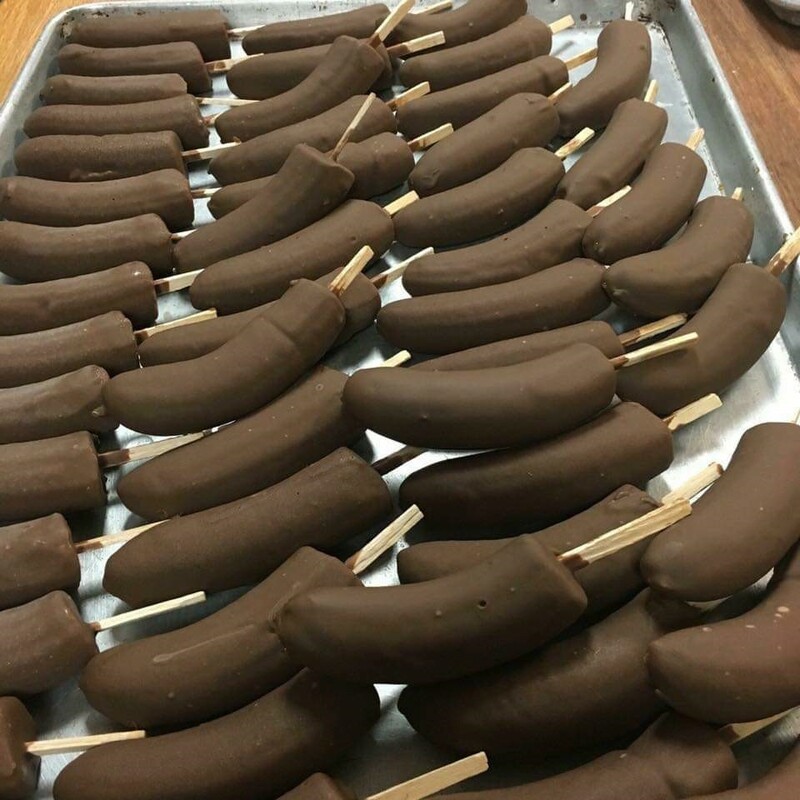 It is frozen, in most of the local neighborhood stores they sell these “chocobananos” for a cheap price. 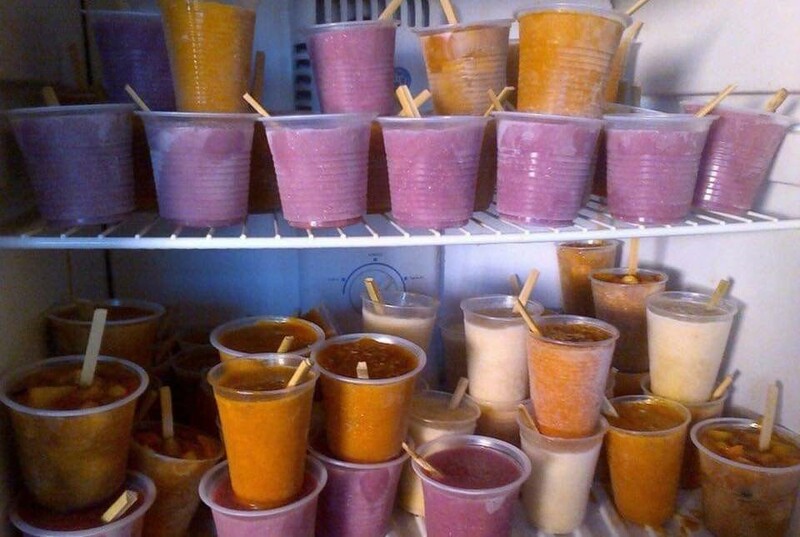 water and sugar, some of them with milk instead of water. We have the best fruits, and you can enjoy them also, ready to eat. 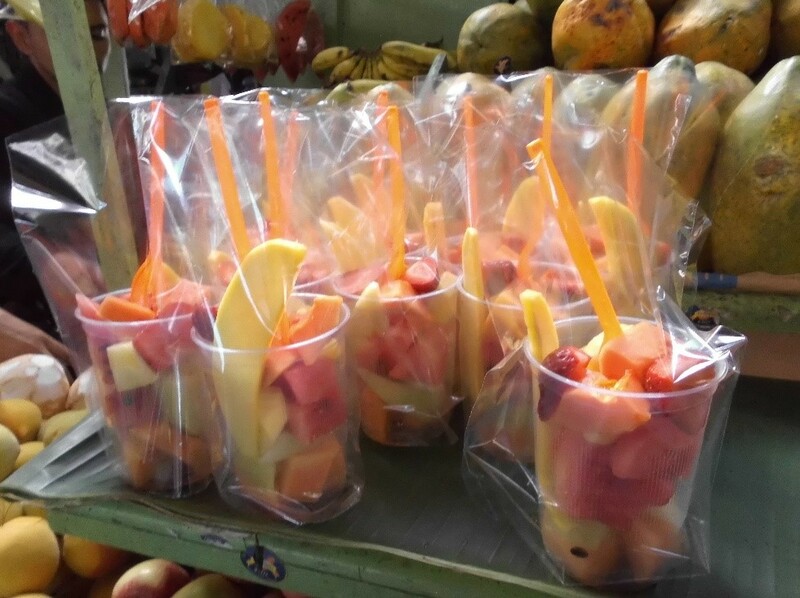 These “bolsas de frutas” (fruit bags) can be found in all the local markets and some street vendors around Guatemala City. The fruit bags can be spiced up with salt, lemon, chili powder and pepita powder, this mix taste better with the mangoes and pineapple. 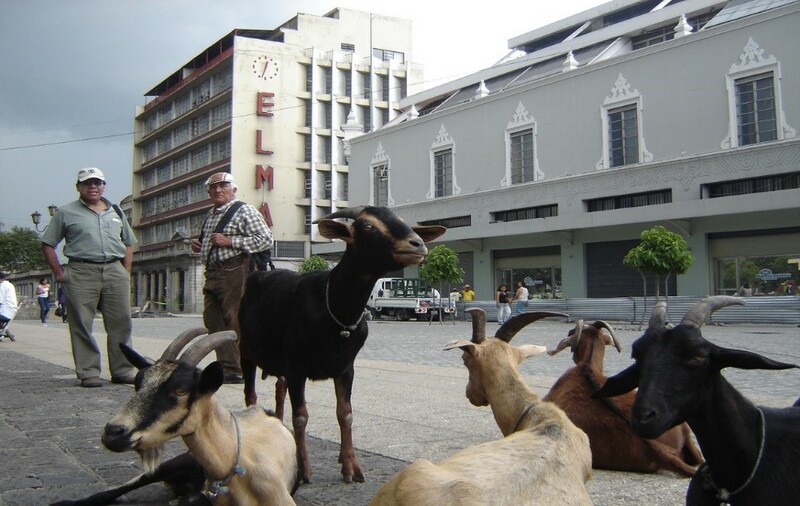 This entry was tagged fast food, guatemalan street food.